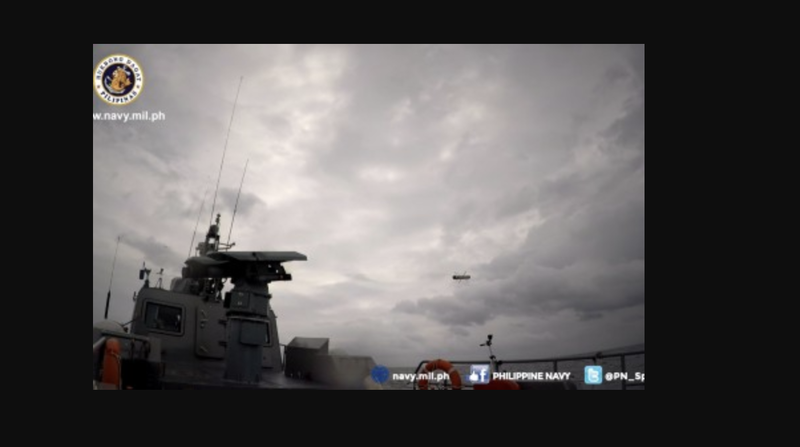 MANILA --- The Philippine Navy (PN) formally entered the missile age after it test-fired its Rafael Advanced Defense Ltd. Spike-ER (extended range) surface-to-surface missile off Lamao Point, in Limay, Bataan Thursday morning. The missile was fired from one of the Navy's multi-purpose assault craft (MPAC), Navy spokesperson Cmdr. Jonathan Zata said. He added that the missile firing was part of the Sea Acceptance Test (SAT). "The PN together with teams from Rafael Advanced Defense Systems Ltd. and the Technical Inspection and Acceptance Committee of the Department of National Defense (DND) oversaw the test-firing activity that included the SAT for the mini-Typhoon machine gun system and SAT for the Spike-Extended Range missile launching system. "The activity is necessary to test, inspect and accept the weapons and its systems in accordance with the contract for the final acceptance of the system," Zata said. Present during the missile firing were PN flag-officer-in-command Vice Admiral Robert Empedrad and other senior naval officers, along with the DND Defense Acquisition Office representatives who were aboard another Navy vessel to witness the event. "A Spike-ER missile was fired and accurately hit the designated target at approximately six KM (kilometers) away from the firing platform. The target was hit dead center even if the sea state condition was moderately rough with wave of at least one meter high but within the normal firing conditions of the missile," Zata added. The PN MPAC Acquisition Project entered into a contract with Rafael, through SIBAT of Israel Ministry of Defense, for the supply and integration of the weapons systems to MPAC Mark III platforms. On April 15, 2017, DND Secretary Delfin Lorenzana approved the Notice to Proceed. "Another actual live firing demonstration of the Spike ER missile will be scheduled with the Commander-In-Chief, the President of the Philippines, President Rodrigo Roa Duterte in attendance," he added.